Finally, the collected works you’ve been waiting for: visual, historical, contextualized. 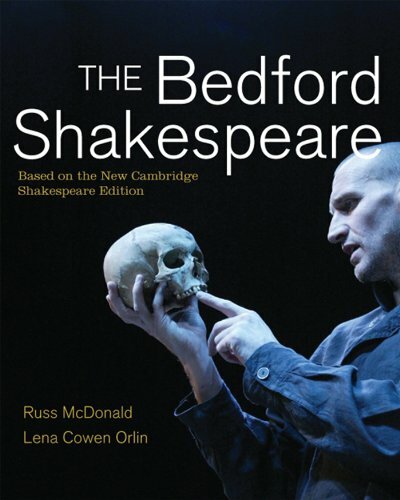 Based on the New Cambridge Shakespeare edition of the text, The Bedford Shakespeare gathers the 25 most frequently taught plays and augments them with the rich historical and contextual materials you expect from Bedford/St. Martin’s. Thoughtful, provocative analysis by eminent scholars Russ McDonald and Lena Cowen Orlin offers students concrete entry points into the plays and creates opportunities for lively classroom discussion. A lavish collection of images throughout the book features production shots, paintings, film stills, Renaissance woodcuts, maps, and more, to help students visualize what they are reading.